It’s Friday and we’re ready for some new cakes to love. 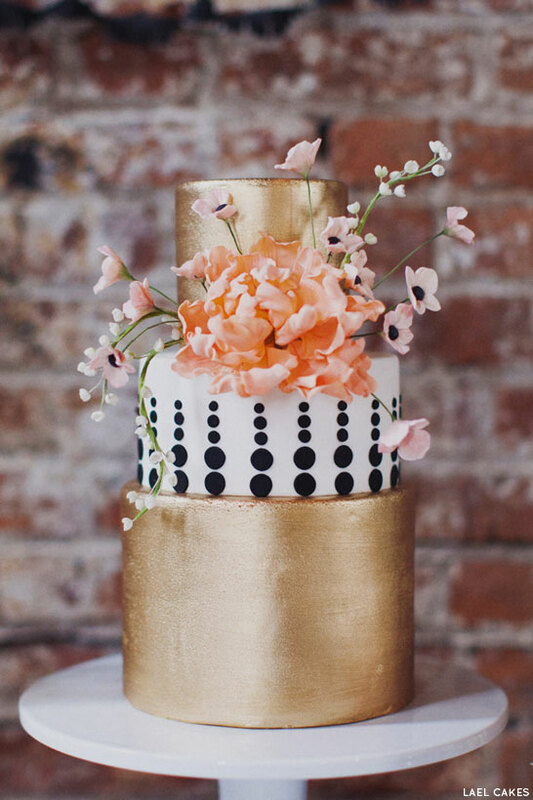 We’ve spent this week recapping the fabulous cake inspiration of 2013. After highlighting the Top Recipes of 2013, the Top Cake Designs and the Top Cake Projects… I think we’re officially recapped out. We’re ready to come around the bend and head straight into 2014. 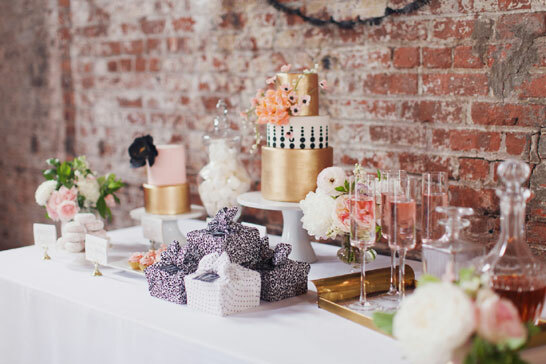 And I can’t think of a better way to start off the year than with a gorgeous dessert table filled with impeccable style and two incredible cakes! 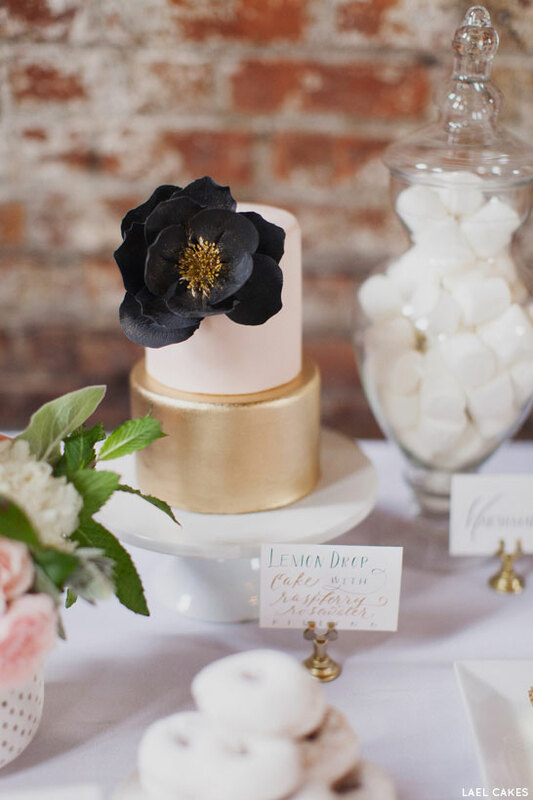 Today’s feature comes to us from Emily Lael Aumiller of Lael Cakes in Brooklyn and is full of Chanel inspired sophistication. 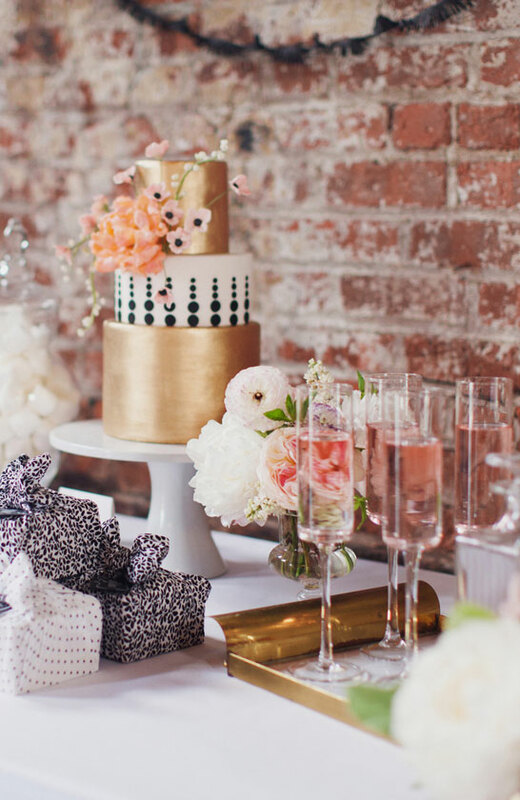 Black, white, and blush pink pair up with small touches of gold creating a color palette too pretty for words. Throw in a refined mix of polka dots and graphic prints with a subtle nod to Brooklyn and now you really have our attention. 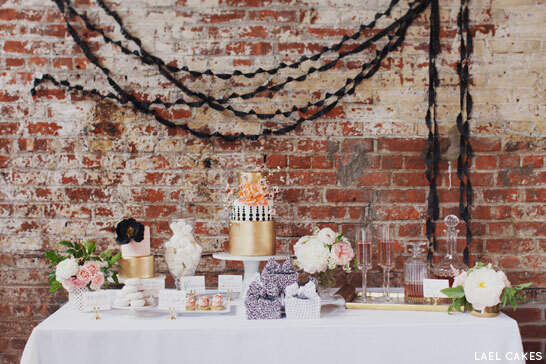 Let’s take a look at this charming Chanel Meets Brooklyn inspiration shoot. 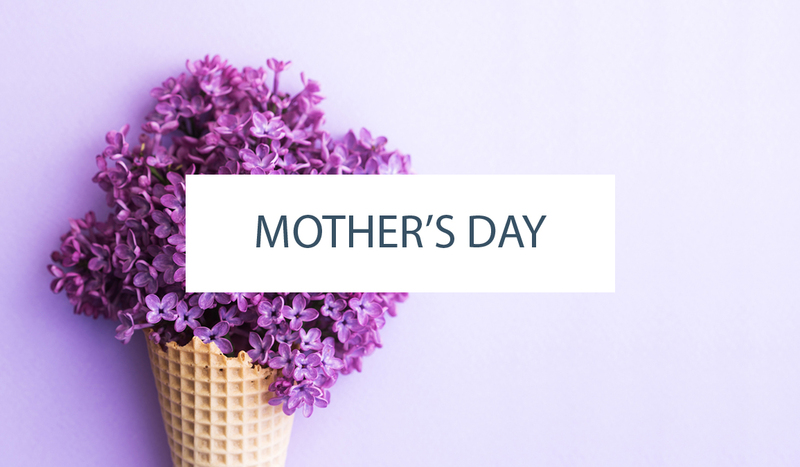 If you’re already smitten, just wait until you see more! This table is beyond gorgeous and the main cake, in center stage, has stolen my heart. 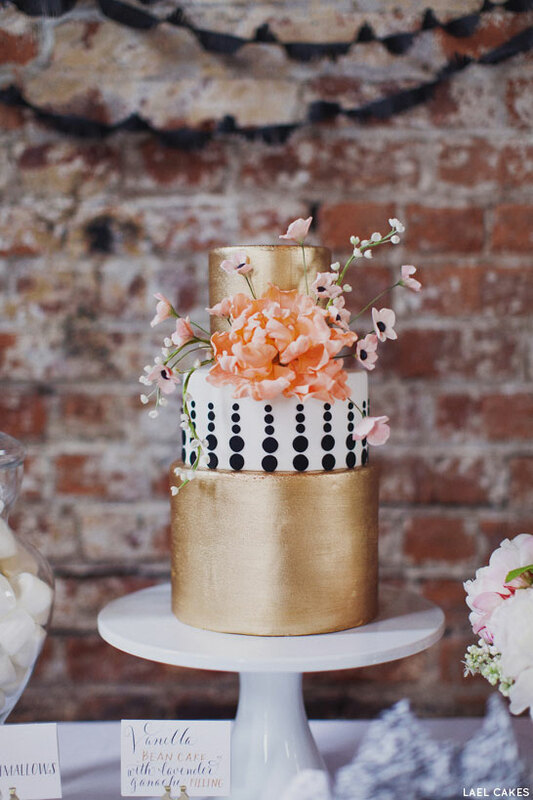 Extra tall tiers in gleaming gold marry a black and white tier that takes polka dots to a whole new level of sophistication. 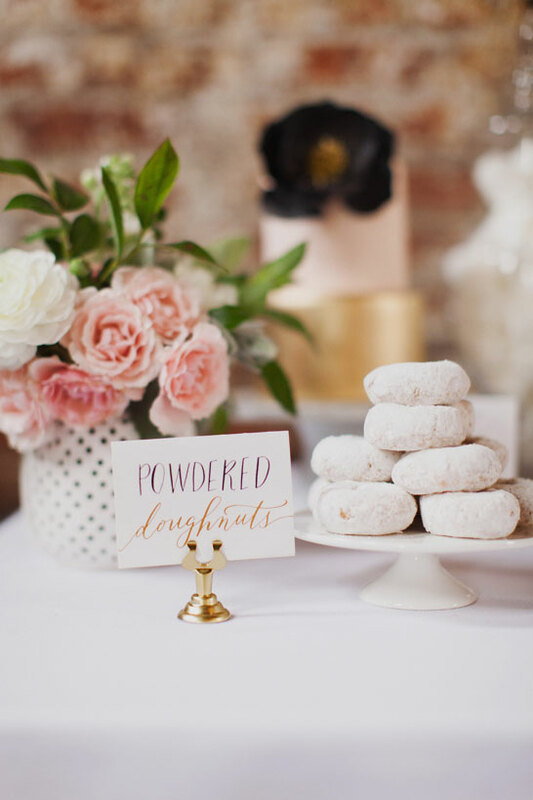 And then there’s the sugar flowers, in shades of blush pink and oh-so-dramatic. It’s absolutely lovely! Isn’t it just dreamy? Over the years, we’ve come to expect nothing less from this talented cake designer who’s sense of style is always spot-on, with techniques and skills to complement as well. Thanks to Emily Lael Aumiller of Lael Cakes for inspiring us today with her gorgeous cakes and impeccable style. 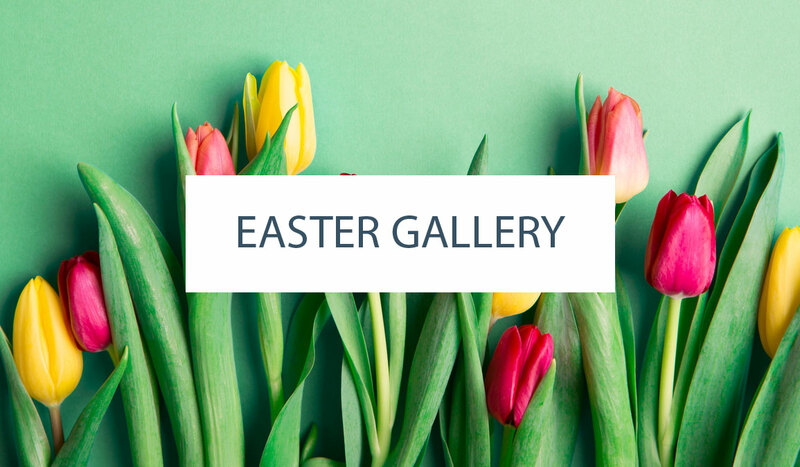 Event Design : HANALULU CO. This cake is gorgeous! How is this beautiful gold colour achieved? It’s so woderful!